SubhanAllah it had been ages since i last updated my blog. life has changed. Everything around me keeps changing. uh i do hope i change for the better, but it seems so hard. i keep blaming situational state around me. Im not improving myself and i do feel devastated with my current state. Uh Allah. He is the almighty. Whom i ought to keep steadfast to. I never happened to imagine how it feels like to be an ITP patient till i met her. She is very special in my eyes of her respected personality. Her smile despite those painful IV lines, those excruciating medications, horrendous episodes of gum bleed and npt to forget memories of menorrhagia especially during her rounds as a HO. If i were in her shoes..i don't think i can strive like a warrior just like her. And my tears welled down again. I cant bear seeing her lying in bed, havouring upon painful IV Ig. Being beside her, i feel sense of strength gifted from Allah. She taught me to be positive, to be tough, to handle things properly( me being clumsy at times). Most importantly, she reminds me to Allah. Even being beside her without uttering a word, bring that sense of zikrullah. I pray to Allah to boost her strength, happiness, health and an uneventful pregnancy and delivery. May allah eases her way. ameen.. Idol refers to somebody you look up to, whom you respect and admire. As a muslem, we should bear in mind that the Prophet (PBUH) should be our top ranking idol, qudwatul hasanah mashaa allah. This man first entered my life and was destined to be my another half since 3 years ago. Before he asked my hand for marriage, i made a summary of him to get to know whom he really is. He was one of the most respected person in his varsity, being the smartest student back then. His dedicated personality and 5 star results are truly intriguing. Me, being totally the opposite, is timid, pessimist and anti social type of person. An introvert. Yeah, that explains me in short. Alhamdulillah, we are blessed with a daughter, with two historical miscarriages. I adore his carrisma and dedication in da'wah although most of the time he is away to give lectures and islamic teachings. 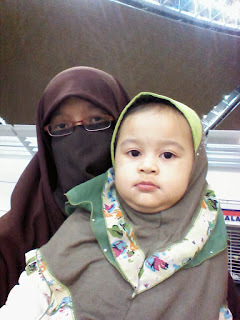 When i see him, alhamdulillah, i keep remindingmyself to zikrullah, and improving my islamic knowledge. Only foreseeing his positive side, my love for him grows. Absolutely. My husband. My idol. Suratul baqarah verse 216 has a deep meaning which makes hearts melt in love with Allah. His plans are unpredictable. Papa passed away peacefully 2 years ago when i was pregnant actually without my knowledge at that time. Unexpected. Life ended instantly, not even a second late from destined. I used to hate those times when papa abstained me from having boy friends. He used to question where i was heading to, whom my friends are, how was my tuition lessons (he was worried as male students were also around because it happened that i only went to girls' school back then). Little did i realize what was in store for me. He is an incredible father, overly protective and very stern back then because of his love for his daughter. Alhamdulillah, with the blessing of my father's lesson, i became more conscious about ikhtilat and is blessed with one of the best gift from Allah: a soleh husband mashaa Allah. Before my husband approached me, he addressed himself to papa, had a good rapport but masha Allah almost a year after our marriage, papa passed away from devastating lung infection. Reminiscing upon the times being his little girl..i miss him. Badly. 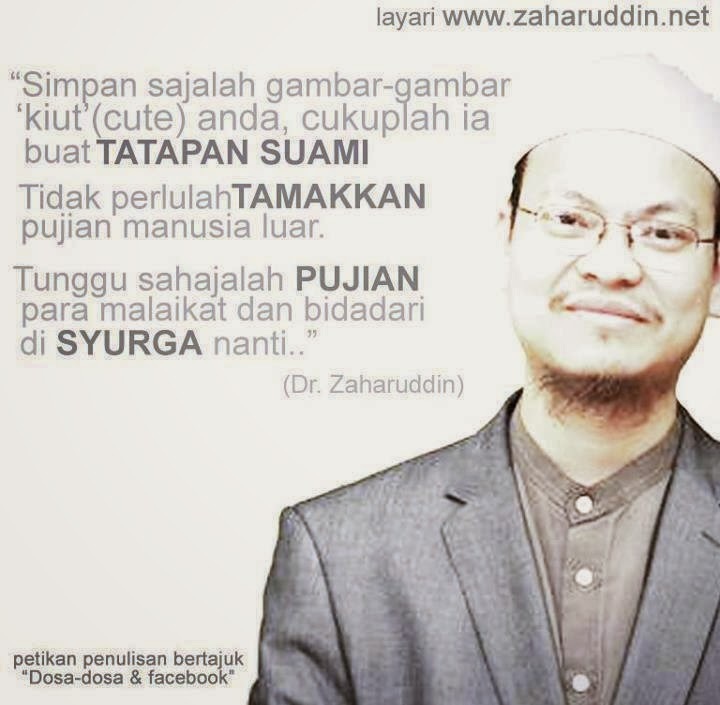 I wish to meet him in jannah and say," Pa..maaf atas semua salah silap fatin. Ni Maryam, anak fatin.."
I can't hold my tears anymore. It took me some time to digest every circumstances around me. 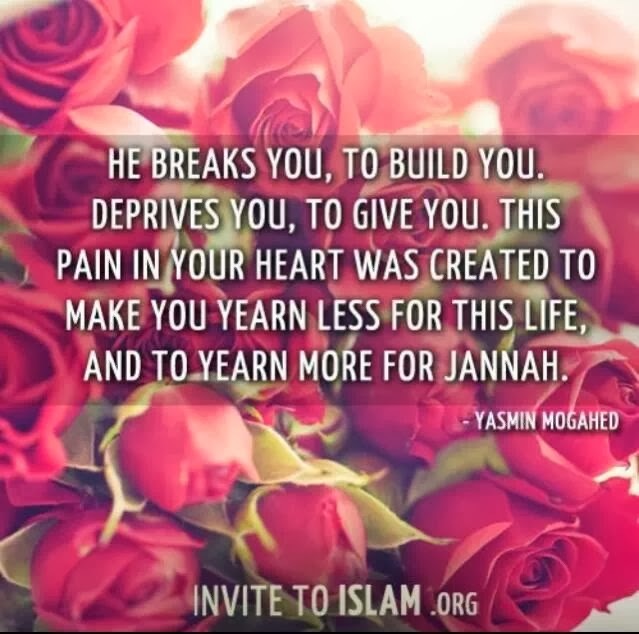 I wonder why Allah tests me in such a way that i have to carry the burden while others feel leisured. I smile. Tests from Allah make our love towards Him even stronger. Falling in love with Allah..deeply melts my heart into complete serenity. What an eventful day, i would say. Sometimes i thought..handling difficult people is really tiring especially having to face bias and injustice. Yeah, forget these because if Allah is please with me, nothing else matters. 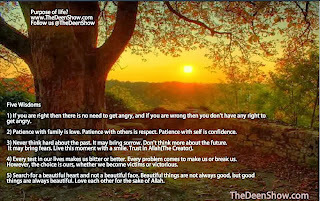 A cool lesson to learn and cherish everyday is..to keep calm and always remember Allah. When things go haywire or if we get caught entangled in a defiant situation, first ..keep calm and say istighfar...take a deep breath and think wisely for alternatives as answers to the whole situation. Don't loose hour temper and bark out others's faults. When meeting others, never searcb for their weaknesses but appreciate their strength. Never reward ourselves as better than others. By keeping calm and say zikrullah,inshaa Allah He will open ways and alternative s to our problems way beyond our expectations. SubhanAllah. Such an amazing gift from Allah which i have learnt today. Short but deep in meaning. I was trying to capture what Imaam Suhaib was delivering in al hijrah while keeping an eye on my lil daughter Maryam. This message is very intriguing and i wish to spread this to others too. Think before you speak or write. Speaking is like picking on flowers or fruits in the garden. You never want to pick on a faulty fruit. Same goes to words, you never wanna make others hurt or be nasty upon hearing your words or reading on your writings. Mashaa Allah. Putting up status like,"hubby gives me fresh flowers" or "see, my pregnancy test is positive with a captured 2-lined pregnancy test" really do not benefit others. Think before you write or post a picture. Yup, this is rather straight forward. Facebook. People out there may make up an argument and state, "it is up to us, we can write anything we want". Well, no offence! Hands up! Think about single sisters, parents without children, single mothers, they have feelings too. Yes, a good mu'min shares happiness of his counterpart but i believe that at times their feelings cannot be overshadowed. Allah grants us happiness and setbacks as trials. Let's not make it a habit to be too transparent in whatever we have. Posting pictures of your gigantic house, luxurious car, a preggy tummy or presents from loved ones do not help at all. May Allah sheds away the feelings of riak or takabbur, nauzubillah. Let's reflect on why we live in this world. Why is there things decreed for us as Moslems. To test us, to worship Him. If we can make the social media or FB for an instance, as medium for daawah and not spoiling it with possible negativity or creating bad deeds in others' hearts, inshaa Allah the world will be a better place.